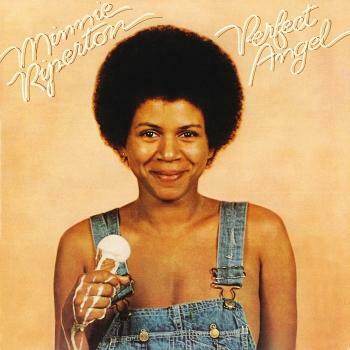 Artist "Minnie Riperton feat. Stevie Wonder"
The tragic 1979 death of 31-year-old Minnie Riperton silenced one of soul music's most unique and unforgettable voices -- blessed with an angelic five-octave vocal range. Riperton was born in Chicago on November 8, 1947; as a youth she studied music, drama, and dance at the city's Lincoln Center and later contemplated a career in opera. Her popMinnie Riperton career began in 1961 when she joined the local girl group called the Gems, signing to the famed Chess label to release a handful of singles as well as lend backing vocals to acts including Fontella Bass, the Dells, and Etta James. After graduating high school, Riperton went to work at Chess as a receptionist; following the Gems' dissolution, she signed with the label as a solo act, releasing a single, Lonely Girl, under the alias Andrea Davis. In 1968, Riperton was selected as the lead vocalist of the psychedelic soul band the Rotary Connection, which debuted that year with a self-titled LP. The singles Amen and Lady Jane found a home on underground FM radio, but the group failed to make much impact on mainstream outlets. In 1970 Riperton pursued a solo career; teaming with producer/arranger Charles Stepney and her husband/composer Richard Rudolph, she issued a brilliant debut album called Come to My Garden, in 1970. But again commercial success eluded her grasp. In 1973 she relocated to Los Angeles, where she caught the ears of Stevie Wonder and was immediately enlisted to his backing group, Wonderlove. Singing backing vocals on many tracks on Stevie's 1974, Fulfillingness' First Finale album and touring as a member of his backing unit. 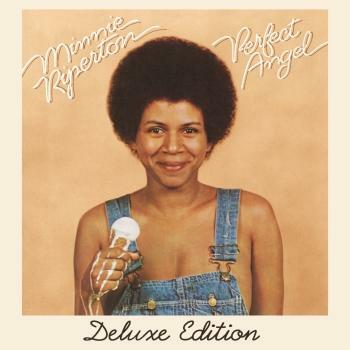 Minnie RipertonStevie agreed to produce Minnies's 1974 album Perfect Angel, on which he also contributed two songs and played harmonica and keyboards. The popularity of the international hit Lovin' You made her a household name. However subsequent LPs like 1975'sMinnie Riperton Adventures in Paradise and 1977's Stay in Love failed to repeat its success. By this time, however, commercial woes were the least of her concerns. Diagnosed with breast cancer, she underwent a mastectomy in 1976, later becoming a spokesperson for the American Cancer Society and earning a Society Courage Award from then-President Jimmy Carter. Minnie continued performing despite her declining condition, with 1979's Minnie the final record completed during her lifetime -- she died in L.A. on July 12 of that year. Unreleased vocal tracks with new instrumental backing comprised 1980's posthumous collection Love Lives Forever featuring many of Minnie's admirers such as Michael Jackson, George Benson, Peabo Bryson, Roberta Flack and Stevie.